When you know what you need, but not what kind you want, use our Shop by Product Type feature to sort our stock by different categories of items. Organized regardless of any other grouping, the Shop by Product ability will allow you to see all of the same type of item in its different iterations, be it Marvel, DC Comics, or video game merchandise. 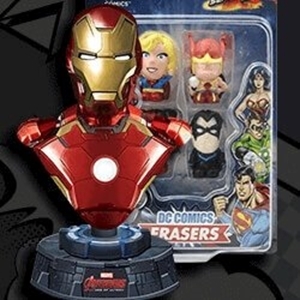 At Superheroes Direct, we are home to a giant variety of products, from action figures and statues to jewelry, lunch boxes, t-shirts, keychains, hats, home decor, costumes, socks, underwear, office accessories, and more, and we seek to provide you with the most convenient way to shop in whatever section you so desire. Here at Superheroes Direct, we specialize in comic collectibles, and what better collectible than a statue or figure of your favorite character? 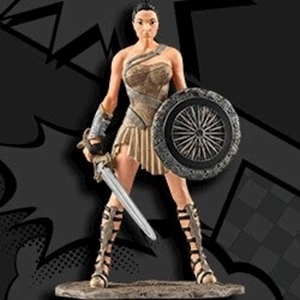 We offer various types of figures, from the popular large-headed Funko POP figures and bobble heads, to Funko Legendary figures, fully poseable and intricately detailed, replica weapon statues, superhero busts, armor statues, paperweights, miniatures, and more, as well as collectible toy figures made for play. We offer statues of all sizes and materials, from plastic to polystone, and in a variety of sizes suitable for any type of collector. The perfect gift for any superhero enthusiast or figure aficionado in your life, check out our ever-growing Action Figures and Statues selection for all your collectible needs. For all your carrying needs, our backpacks have always got your back. 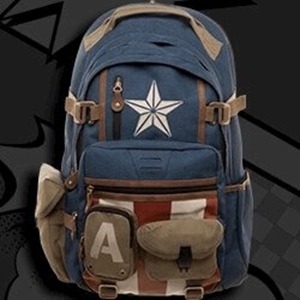 Here at Superheroes Direct, our Backpacks category brings you superhero and video game backpacks suitable for hauling your gear with you wherever you wander. Available in a variety of sizes and styles, our fashionable backpacks feature designs inspired by your favorite heroes, villains, and games, like Batman, Wonder Woman, Deadpool, Captain America, Harley Quinn, Assassins Creed, the Legend of Zelda, and more. Our knapsacks are perfect for packing the essentials, while our larger full size backpacks are ready for any length of trek. Great for traveling, carrying school supplies, books, electronics, and more, a sturdy backpack is always a necessity. 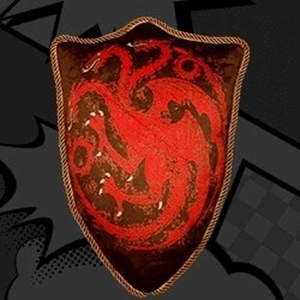 Why not have it show off your favorite hero or game? Featuring superheroes from both Marvel and DC Comics, these bank busts are ready and willing to keep your change from getting lost and disappearing. 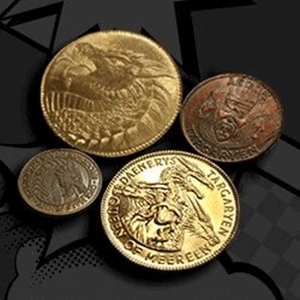 You can even trust these villains to keep your coins and other small trinkets safe. Our selection includes both classic depictions of heroes like Ant-Man, Iron Man, Robin, Batman, Wonder Woman, and more, perfect gifts for any fan of Golden Age comics or collector of vintage-inspired superhero gear. We also feature more modern superhero designs, like the Iron Man Hulkbuster and Ultron from the 2014 Marvel Cinematic Universe Age of Ultron film. With such a wide variety of characters, these functional and collectible bust banks make great additions to any superhero home decor. 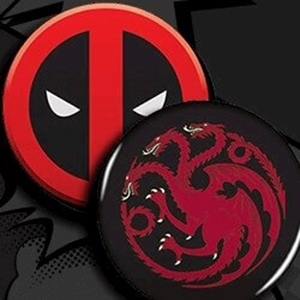 It is always time for your favorite fandoms here at Superheroes Direct, and our selection of clocks is here to prove it. 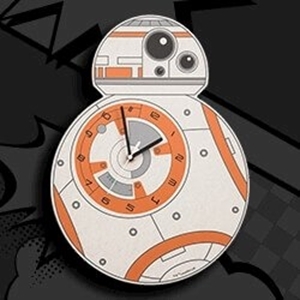 We offer clocks from a variety of pop cultures, including iconic movies and series like Star Wars and Star Trek, with graphics from their classic films and shows. Excellent gifts, these clocks look stunning in any home and as part of pop culture collections. Use our handy filters to sort through our entire collection by your favorite character, movie, TV show, game, color, price range, and more to find the perfect item for you. Keep checking back here at Superheroes Direct as we add more pop culture collectibles to our selection of clocks. 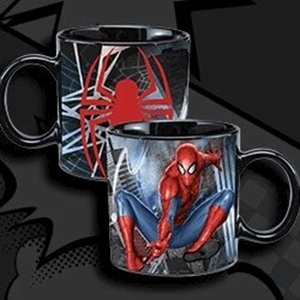 Keep condensation away from your coffee tables, counters, desks, and more with products from our Coasters category here at Superheroes Direct. 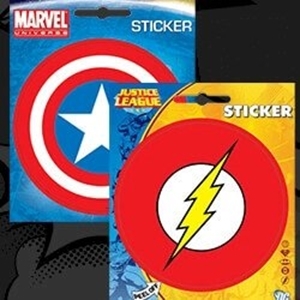 An excellent addition to any surface where you might set a cup, our comic book coasters are subtle ways to add superhero fashion to your home decor. 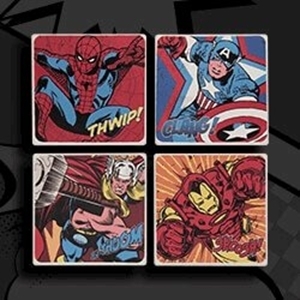 Featuring characters from DC Comics and Marvel, like Batman, Iron Man, Captain America, the Hulk, and more in both comic book and film iterations, these coasters make great gifts or finishing touches to any comic-themed collection. Functional and stylish, our comic book coaster sets are the ideal accessory to any of our superhero drinkware. Keep checking back here at Superheroes Direct for updates to our coaster selection. 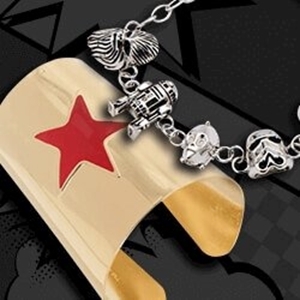 Whether you are looking to rep your favorite hero or just want a touch of bling that is more than just a pretty trinket, look no further than our Jewelry category at Superheroes Direct. Our collection of jewelry includes fun pieces featuring the symbols of DC Comics and Marvel heroes and villains, like our necklace and earring sets, as well as charm necklaces featuring crafts and creatures from Minecraft. See if you are worthy enough to carry Mjolnir, with our Marvel Thor Hammer necklace. Show off your gamer pride in style with our elegant Zelda necklaces, Call of Duty dog tags, Witcher 3 medallion, and more. The perfect gift for any loved one who loves comics or video games, our various jewelry makes great collectibles and keepsakes as well as fashionable accessories. 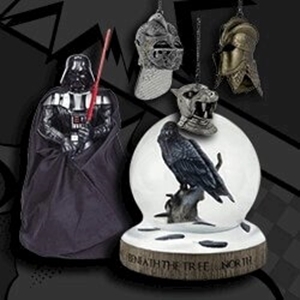 Let our variety of pop culture lamps and lights here at Superheroes Direct help you fend off the forces of darkness. 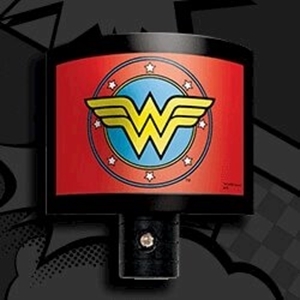 Brilliant pieces of superhero decor, our lighting features fun comic book character logos and graphics, including the iconic symbols of Batman, Spider-Man, Harley Quinn, Captain America, Superman, Deadpool, and Wonder Woman. Great collectibles for comic book enthusiasts of any age, our superhero nightlights are ready to come to your rescue when walking through darkened spaces. Our character lamps and lamp covers offer a fun way to brighten a reading nook or bedroom. We also carry illuminating home decor for fans of various hit TV shows, movies, and video games, including Star Wars and Star Trek. Keep checking back at Superheroes Direct for additions to our selection of superhero lamps and lights as they become available. Why pack your meal into something ordinary when you can store it in something super from our Lunch Boxes category at Superheroes Direct? Our collectible lunch boxes feature characters from Marvel Cinematic Universe films, such as the squad from Guardians of the Galaxy, and key Avengers from Age of Ultron, all rendered in vibrant graphics from the films. Many feature the classic tin tote design, great for keeping your food safe from any unwarranted smashing throughout your travels. Sturdy and versatile, you can use these lunch boxes to store almost any type of small item in addition to a regular meal. These lunchboxes make excellent gifts for fans of superheroes who are always on the go. 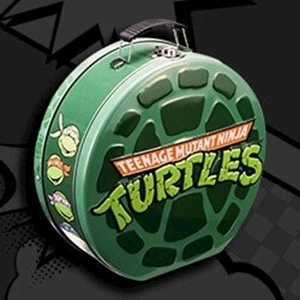 Be sure to keep checking back here at Superheroes Direct for updates to our selection of superhero lunch boxes! 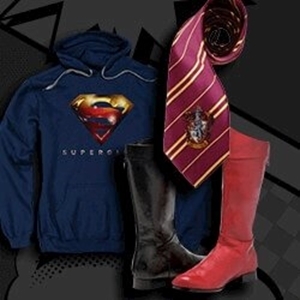 Shop our Mens Apparel category here at Superheroes Direct for all your comic book, movie, and video game inspired clothing needs. With such an expansive variety of apparel, we have something for everyone. Find the perfect t-shirt to rep your favorite character from Marvel or DC Comics. 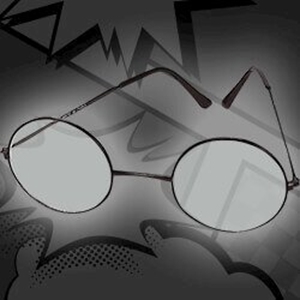 Or check out our Costumes and Cosplay section for a more intense way to show your love for a character. Our jackets, sweatshirts, and long sleeve shirts are perfect for colder weather or when you just need an extra layer of warmth. Many of our t-shirts and hoodies also feature designs that mimic iconic super suits and armor, great for when you want to show off your superhero spirit but still keep it casual. Of course, no outfit is complete with just a shirt, so check out our Pants and Shorts category for more superhero related apparel. After a long day of fighting back the forces of evil, our superhero loungewear is perfect for moments when all you want to do is stay in, stay comfy, and relax with your favorite comic book film. 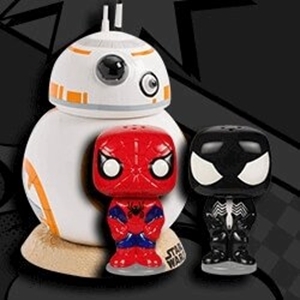 Shop our Office Accessories category here at Superheroes Direct for collectible business card holders and paperweights featuring beloved characters from the Marvel and DC Comics universes as well as desk accessories inspired by video games. Entrust one of our superhero business card holders with keeping your business cards safely displayed, such as our Captain America Business Card Holder. Our classic Avengers paperweights stand ready to secure any important document with their signature superhero flair. An excellent addition to any desk, these are the perfect gifts for any superhero fan with an office to decorate. Keep checking our selection of comic book inspired office accessories here at Superheroes Direct for additions to our collectible office decor! Add your favorite superhero, TV show, movie, or video game logo to any sewable surface with our collectible and easy-to-wear patches. 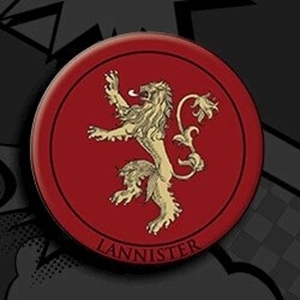 Here at Superheroes Direct, our selection of patches includes many of the Game of Thrones houses, so you can proudly display the banner of the noble family you most favor. These patches make excellent gifts for a variety of pop culture fans, adding pizzazz to almost any piece of apparel. 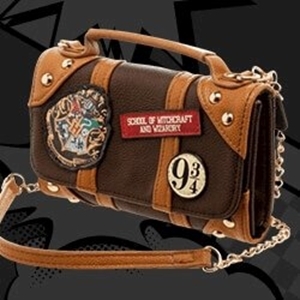 Attach a patch to a bag or jacket to show off your pop culture preferences with style and ease, or display your collection all on one garment for a bold statement. Keep checking back here at Superheroes Direct for more additions to our growing supply of fun pop culture patches. Inspired by the legendary fantasy works of J.R.R. 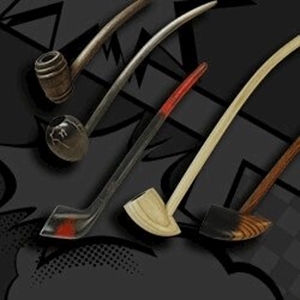 Tolkien, our Pipes department at Superheroes Direct contains a variety of functional tobacco pipes perfect for fans of The Lord of the Rings and The Hobbit who yearn to return to the world of Middle Earth. Exquisitely handcrafted from high quality wood, our Churchwarden style pipes feature long stems, making them excellent gifts for any pipe collectors or Lord of the Rings enthusiast. Shop our wide selection of elegant pipes available a multitude of shapes, finishes, colors, and materials, making these lovely pipes both breathtaking decorations and functional items fit for casual use. 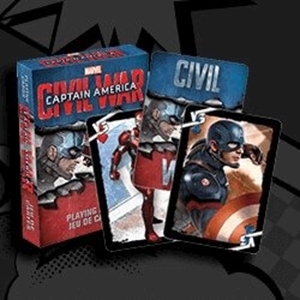 Excellent inexpensive gifts for any card game playing comic aficionado, our playing card sets at Superheroes Direct feature a huge selection characters from Marvel and DC Comics, as well as a massive variety of styles. 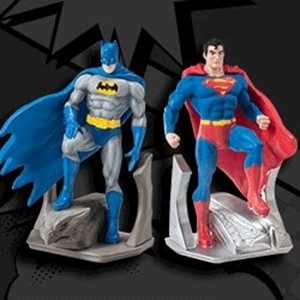 We offer sets based on single characters, including Superman, Captain America, Batman, Iron Man, Ant-Man, Wonder Woman, the Incredible Hulk, Thor, the Flash, Spider-Man, Green Lantern, Supergirl, Harley Quinn, the Joker, Wolverine, and more. 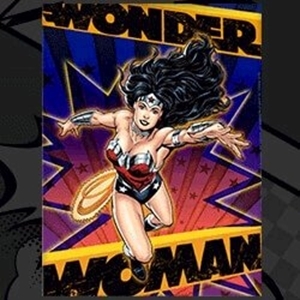 Many of these comic-inspired playing card sets come in both modern and retro styles, with artwork from the Golden, Silver, and Bronze ages of comics and beyond. 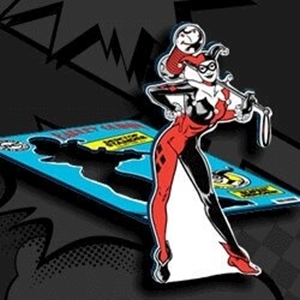 We also provide playing card sets featuring groups of characters, such as DC villains, Marvel villains, members of the Batman family, the Justice League of America, Guardians of the Galaxy, the Avengers, the Fantastic Four, and more. Our playing card tins are perfect for carrying and storing your sets of cards in complete superhero style. Great for bringing to any gathering of friends, keep a deck of our comic book character playing cards with you for any impromptu moments of superhero fun. For soft, cuddly versions of creatures from your favorite TV show, movie, or video game, check out our variety of pop culture plush here at Superheroes Direct. 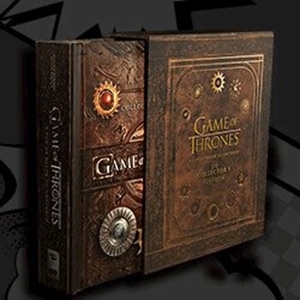 We offer a variety of loveable stuffed animals from the hit HBO series Game of Thrones. For exceptionally cute versions of the Direwolves, the feral companions of the Stark children, check out our Game of Thrones Direwolf Cub Plush sets. Our Game of Thrones Baby Dragon Plush is as adorable as the real thing is ferocious. Become the Mother of Dragons with your own set of plush dragon eggs. 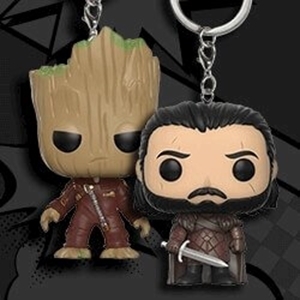 These soft toys make excellent gifts for many pop culture enthusiasts, including young fans, as well as fantastic collectibles. Let our huggable plush decorate the shelves, couches, or beds of your home. 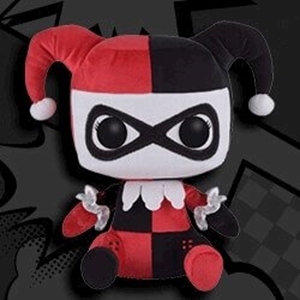 For updates to our growing selection of high quality pop culture plush, keep checking back here at Superheroes Direct. Check out our Posters and Wall Art category at Superheroes Direct for a variety of decorations suitable to be situated on the walls of any castle or secret superhero lair. 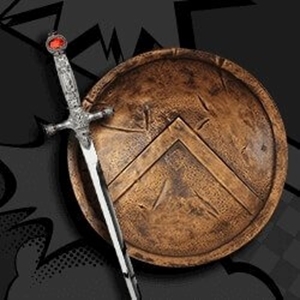 Our selection includes Game of Thrones house banners, excellent for showing support for your favored noble family. 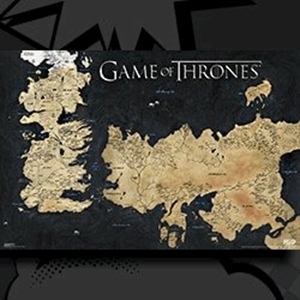 Let our Game of Thrones Silk Westeros Map help you keep track of the adventures of each character as they compete for the Iron Throne. Our wall art is great for displaying your fandom with pride in any abode, whether it be your favorite superhero, TV show, movie, or video game. Made of high quality materials and featuring bold, detailed graphics, these wall hanging are great gifts for any fan who likes to add a bit of pop culture style to their home decor. Keep checking back here at Superheroes Direct for updates to our Posters and Wall Art category. 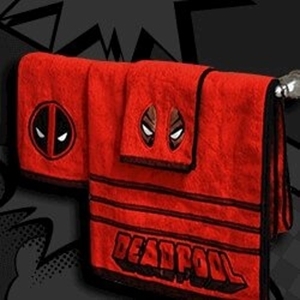 Shop our Towels and Shower Curtains category here at Superheroes Direct for our selection of these essentials, all decorated with graphics from favorite TV series, movies, video games, and comics. Our beach towels, such as our Doctor Who TARDIS Beach Towel, are great for laying out on the beach or at the side of a pool, displaying your fandom as you swim or sunbathe. Though a vital item of home decor, shower curtains do not have to be boring. Shop our selection of pop culture shower curtains to add superhero, sci-fi, or fantasy style to your bathroom. Keep checking back here at Superheroes Direct for more updates to our growing supply of pop culture towels and shower curtains. 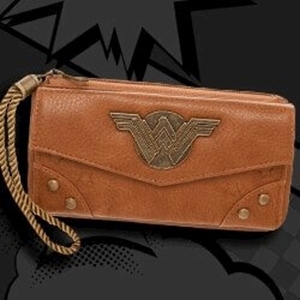 Keep your cash and cards secure with our selection of wallets here at Superheroes Direct. Choose from a variety of designs inspired by DC Comics and Marvel, including the iconic Batman logo, the Superman symbol from the Man of Steel film, and illustrations featuring Deadpools mask. Show off your favorite video game with our wallets featuring Link from Legend of Zelda, logos from Assassins Creed, the World of Warcraft Alliance crest, the Sentinel Task Force emblem from Call of Duty, and more. We offer wallets in both bi-fold and trifold designs, as well as wallets with chains perfect for attaching to a belt for extra security. Excellent gifts for superhero or video game fans in your life, our practical and stylish wallets let you take a piece of your favorite game or character with you wherever you go. 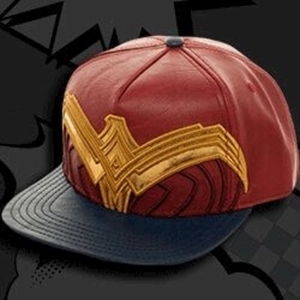 At Superheroes Direct, we are proud to bring you comic book and video game apparel designed with women in mind. Try out our fitted t-shirts, tank tops, jackets, sweatshirts, and long sleeve shirts featuring characters and logos from your favorite comic books, films, TV shows, video games, and movies. Looking to emulate your favorite superheroine or femme fatale? Check out our Costumes and Cosplay category for the perfect outfits and accessories featuring characters such as Wonder Woman, She-Hulk, Gamora, Poison Ivy, Catwoman, Batgirl, Harley Quinn, Black Widow, and more. Our superhero themed robes, sleep shorts, and pajama pants are great to wear when taking a break from saving the world, and our knee high costume socks, complete with superhero-inspired accents, are the perfect super accessories to complete any outfit. At Superheroes Direct, no hero is too small to get in on the action. 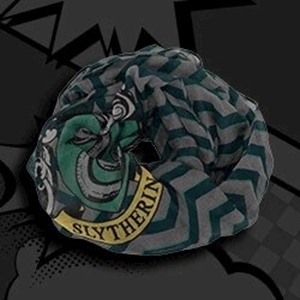 For younger fans, we offer a wide selection of youth apparel, including t-shirts, costumes, jackets, and sweatshirts specifically sized for children. Our costumes are perfect for budding young heroes striving to join the Avengers or Justice League when they grow up, while many of our t-shirts and jackets designed to mimic super suits let them dress up as their favorite character in appropriate everyday apparel. We offer fun t-shirts featuring dozens of different characters from Marvel and DC Comics, including Iron Man, the Hulk, Captain America, Wonder Woman, Bat Man, Catwoman, Spider-Man, the Joker, and more. For young gamers, we also offer a variety of clothing from hit video games like Legend of Zelda and Minecraft, including Creeper and Enderman zip-up character hoodies and shirts featuring the adventurous Link. 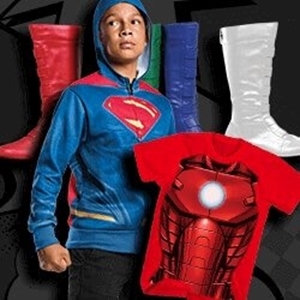 Excellent gifts for any small superfan in your life, shop our Youth Apparel category for the best variety of superhero and video game t-shirts, jackets, costumes, and more.